I lived in Ecuador for two years, and right before heading back to the States, I stopped by this giant artisanal market, a tiny town called Otavalo dedicated mostly to selling Andean handicrafts to tourists from all over the world. I’m looking around my house now and, I don’t know where any of those purchases are. I remember I bought all of these brightly colored woven tapestries, I definitely had a clear picture in my head at the time, I’d hang them in my living room, I bought a really narrow and long one that would have been great for the stairway. But, I’m still looking and, OK, there it is, there’s something. I have this piece of furniture from IKEA, it has a bunch of wooden cubbies, and down at the bottom I’m seeing this giant mortar and pestle. You know, like when you go to a Mexican restaurant and they make tableside guacamole, it’s just like that, a huge stone bowl that’s as heavy as it looks. When I took the hour-long bus ride from the capital to Otavalo, I actually had this particular item in mind. A lot of the Ecuadorean women would use these tools as a way to grind spices, and I thought it would have been such a cool addition to my American kitchen. How much would one of these things have cost in the States? 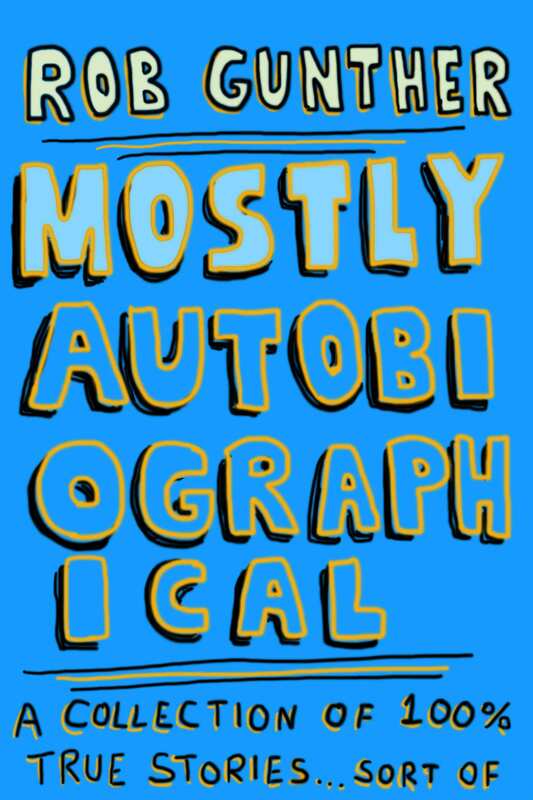 Probably a lot. I got one from some vendor for thirty-five bucks. I mentioned it was heavy, right? Really heavy. Like I had to carry it around everywhere I went, all the way back to New York. And now here it is, I see it, but in the three years since I’ve been back, I can clearly remember the one time I used it. I was cooking something, I wanted to use cumin, so I bought whole cumin seeds. After toasting them in a frying pan over low heat, I transferred everything to the bowl, where I used the oval shaped stone to crush it into a powder. 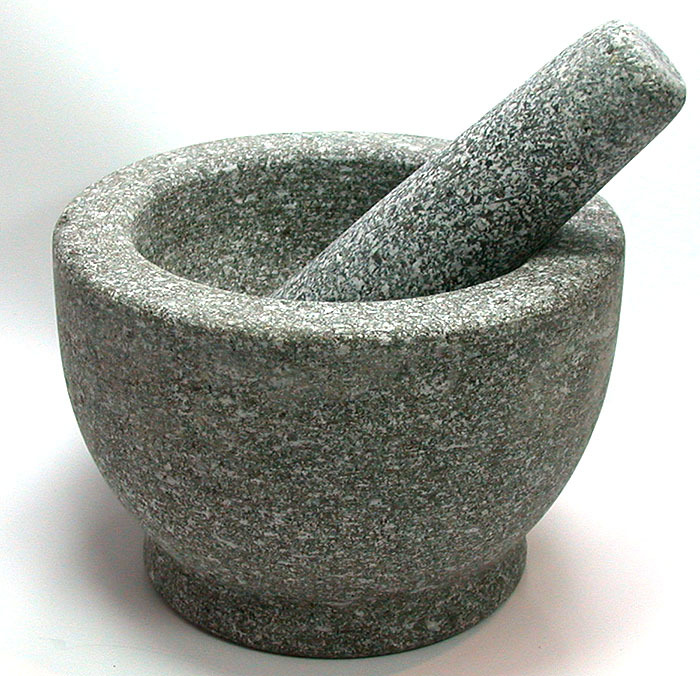 Now that I’m writing everything out, I actually don’t know which one is the mortar and which one is the pestle. But yeah, I used it once, and that was it. I remember trying to clean it out afterwards, I didn’t know how. The sponge was getting ripped up as I wiped the surface of the rock, and even though I ran it under hot water, I could never get out the cumin trapped in between the tiny crevasses of the surface. I told myself, yeah, I’ll use this again, maybe I’ll make guacamole. But that was it, that’s the last memory I have of the mortar and pestle. I must have left it out for my wife to put away, and here it is, in this little cubby hole, right next to my hand-cranked pasta maker. That piece of equipment has a similar history, a big bulky purchase, a single use, and then banished to the cubby, to a lifetime of obscurity, unnoticed in the background of my everyday. But where is everything else? I bought so many other artisanal goods. There were these two hand painted ceramic plates that … oh wait, that’s coming back to me. These things were beautiful, large round dishes that I had hoped to hang on the wall of my kitchen. But they were only wrapped in newspaper, and when I opened up my suitcase in New York, I could see that the mortar and pestle had smashed everything that it was packed against. So it was just this wrapped collection of ceramic shards. Even that, even the trash, I had a vision of laying them out, as if I could glue them back together, like maybe I could hang up the broken pieces, so it would have this preserved-despite-being-destroyed museum like quality. I set the fragments to the side and, I’m positive that they were thrown out. Looking back, there’s no way I would have known how to even begin thinking about how I’d accomplish such a project. And I’m ready for that, I always have been. If a future version of me ever just pops up and tells me what to do, I’m not going to hesitate, or think that I know better. I’ll just do whatever he tells me. And my house will have so much less clutter and I’ll have all that money in my pocket. This entry was posted in Uncategorized and tagged clutter, Ecuador, handicrafts, mortar and pestle, otavalo on July 16, 2014 by Rob G.. The other day I was messing around on my electric guitar when the distortion cut out. After a few minutes of troubleshooting, I figured out that the nine-volt battery powering my pedal must have finally died out. I collapsed, so totally defeated. In a split second, the universe had taken away from me everything that was going on at that very moment. I was sitting down, I was in my pajamas, I was strumming along to all of my favorite nineties alt-rock hits. And now, what, I’d have to get up? Brush my teeth? Walk to Rite Aid and buy another battery? Because even though I’m pretty sure that I didn’t have any spare nine-volt batteries lying around my house, even if I did have one hidden somewhere, there was absolutely no shot that I’d be able to narrow down where it might be, let alone commencing a search and then successfully finding it. No, and I couldn’t sit around either. If I let this go, if I just put down my guitar and told myself that I’d do it later, then it would never happen. I’d lose all momentum, the buying of a nine-volt battery at Rite Aid would become one of those background chores to my life, something that would only pop up on my mental to-do list once in a while, very rarely, almost surely at sometime around three in the morning right before I’d drift off to sleep, oh yeah, I’d remember, the battery, maybe I’ll do that tomorrow. It was either I got up and got dressed and went out and bought that battery right that second, or I might as well kiss my guitar playing goodbye. Well, my electric guitar playing anyway. I’m sure I’d still mess around with my acoustic, but it’s not the same, not always. Sometimes you want to play Tool covers, and on an acoustic, everything winds up coming out all Unplugged in New York. So I did it, I surprised myself even, standing up, putting on a pair of pants, I couldn’t believe I was not only envisioning a plan of action, but I was well on my way to actually executing the steps necessary for me to step out of the house and get done what I needed to get done. I walked through the door of Rite Aid, everything was so much easier than I had made it out in my head when I was sitting there at my desk in my pajamas, it was like a two minute walk, and look, the batteries were right there. I was worrying like I wouldn’t be able to find where the batteries were, that I’d have to walk up and down every aisle, maybe one of the workers would see me wandering around clueless, they’d ask me, “Do you need any help? Are you OK?” and I’d be like, “Uh … batt … batteries? I need uh … a nine-volt? Nine-volt battery?” regretting immediately my jumbled choice of words. Why couldn’t I just ask for the batteries? Why did I have to get way too specific in my nine-volt request? Was I expecting the worker to not only lead me to the battery section, but to come back to my house and show me how to replace the old one? No, the batteries were right there, I didn’t have to continue imagining how awkward any of those situations might get. And yeah, the nine-volt batteries only came in a two-pack, but whatever, ten bucks, sure, that’s not too expensive. I didn’t even spend ten dollars on lunch. 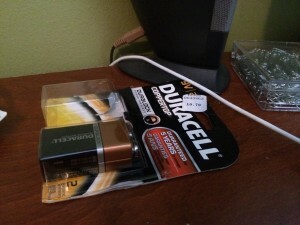 Even though I didn’t really need two nine-volt batteries, There wasn’t much of an option. It was buy two or buy zero, and I couldn’t very well buy zero batteries, not after having already accomplished so much. Returning home empty handed, no way, it would have scarred me, I could envision a future scenario, me just about to head out the door for some small errand, I’d think back to the zero battery Rite Aid trip of February 2014 and I’d retreat, never mind, I could tell myself, I don’t need to leave the house. I made it home, I took out the old battery and put in the new one. It was great. 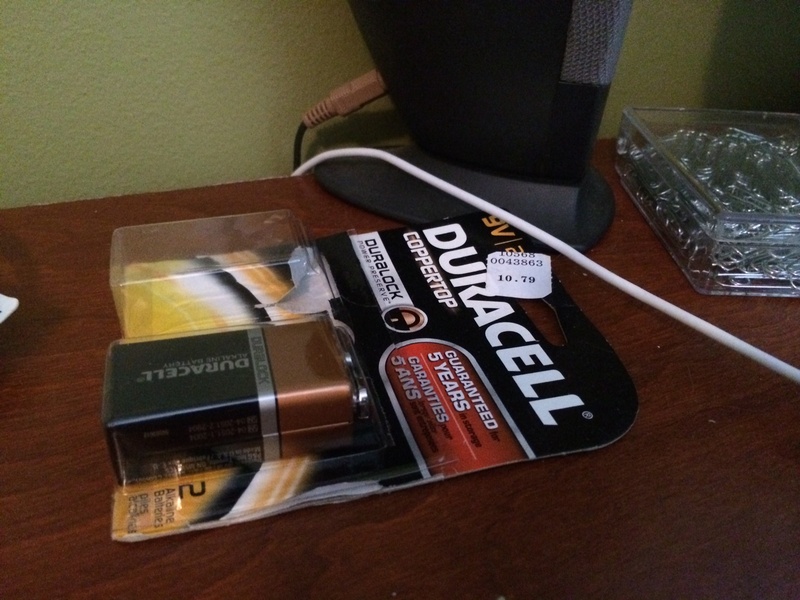 Except, now I had this extra nine-volt battery hanging out on my desk, the surplus from the two-pack. Should I put it away somewhere? I thought, wherever I decide to store this battery, there’s absolutely no way I’m going to be able to find it, years from now, the next time this distortion pedal on my guitar runs out of juice. But I can’t just keep it here, collecting dust. There’s too much temptation. I can’t stop thinking about licking it. You ever do that when you were a little kid, lick the end of a nine-volt battery? I don’t know why, I guess it has something to do with science, but you get a shock on your tongue. The thing is, I haven’t actually licked a nine-volt battery in years. I’m pretty sure it was decades, probably like twenty years ago. I don’t remember what that shock felt like. Did it hurt? Was my tongue buzzing for the rest of the day? The next thing I know I was holding the spare nine-volt in my hands, just inches away from my face. I stuck out my tongue, thought about what I’d need to actually do, like what muscles I’d need to move to make my idea a reality. But I couldn’t do it. There was something inside of me, a fear? Was I afraid? I was. I could feel it. I resolved to do it, I’d lick the battery right there, I’d get past my fear of a little tongue shock. But I couldn’t do it. No matter how hard I tried, there was some sort of a force, a barrier of fear preventing me from jerking my hand the two inches necessary to complete the circuit with my tongue sticking out of my mouth. I started freaking out. What’s happening to me? First, I’m a little kid and I’m doing whatever I want. The next thing I know, I’m a grown man, I’m almost thirty years old, and I’m too scared to lick the end of nine-volt battery. What’s next? Am I going to all of the sudden lose confidence in my bike riding skills? What other abilities is the crippling fear of life going to rob from me next? But then I thought, wait a second, this would a pretty funny picture, the battery, my tongue. So I took a selfie on my phone and put in on Facebook and Instagram with the caption, “I’ll do it. I swear to God, I’ll do it.” And it was pretty successful, you know, in terms of social networking. I got like twelve likes. And look at this, it wasn’t even noon and I was already out of my pajamas, basically fully dressed. Talk about carpe diem, this day had officially been seized. Still, that battery is right here on the desk, right as I’m typing this. And I’ve mostly put it out of my head. But every once in a while it’ll pop out of the background and talk to me, “Come on Rob. Give me a lick. Don’t be such a little pantywaist. Lick me.” And I can’t. I just can’t do it. 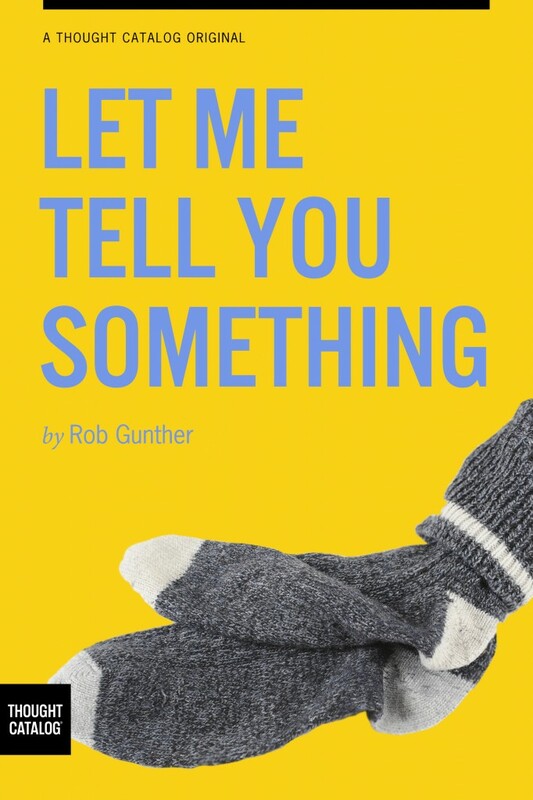 This entry was posted in Uncategorized and tagged battery, clutter, getting dressed, guitar playing, lethargy, Lick it, licking batteries, nine volt, shock on February 19, 2014 by Rob G..
Also I have this tiny stapler right here, it’s really small, like when you buy a regular sized stapler at the office supply store, a lot of the time, included in the box, there will be like a mini sized stapler, only big enough to hold twenty staples at a time, maybe twenty-five. I’m not quite sure how this stapler wound up being the only stapler in my possession, but that was it, that’s what I was relying on for the rare instance when I needed between two and fifteen pieces of paper stapled together. But this thing is such a piece of junk, which isn’t fair really, I’m sure it wasn’t built for the long haul, primary-stapler role I had assigned it. A staple got jammed a while back and, on a normal sized stapler anyway, I’d just slam it down harder, forcing everything out. But on this little guy, all I did was jam another stapler in there. It got past the point where it’s fixable. It won’t even unhinge anymore. I don’t even remember the last time I’ve thought about it. Like, how long has it been on my desk, broken, taking up space? Both the stapler and the pen are sitting right next to my watch. It’s very basic, some sort of a synthetic navy blue strap attached to the same colored navy face. Two months ago or so, the watch stopped. I remembered making such a big thing of it in my mind, like how it would turn into one of those simplest of chores that I’d just never make an effort to actually get done, how I’d lose all track of time, I’d get fired for being perpetually late. I freaked myself out to the point that I left my house that very second and rode my bike to this dingy watch repair shop on Broadway. I walked in and the guy didn’t even say anything, he had a special watch monocle, he used little tweezers to artfully remove the old battery, put a new one in, and then adjust the date and time to make up for all of the lost minutes and hours I’d let slip away since the battery died. I asked him, “how long do these batteries last?” and he told me, “Six months.” He charged me six dollars. What’s that like, a dollar a battery? Not too bad, something I could definitely make a little room for in the budget. But just last week, the watch died again. I brought it to the same watch guy, went through the exact same routine, he took my watch, my six dollars. What’s the deal? Are you giving me defective watch batteries on purpose to bring in more business? Am I being played? But for six dollars, I don’t know, I can’t really get myself to even bother asking another watch question. I guess six dollars every two months isn’t that expensive either, and as long as I’m careful about my money, my Powerball tickets, not writing out too many new IOUs, I think I can squeeze it in, yeah, I can definitely make it work. I’ve got to be able to be on time, right? Nobody’s getting paid if I’m not getting paid, if I’m not showing up on time because I don’t know what time it is. This entry was posted in Uncategorized and tagged click pen, clutter, desk, IOU, junk, lottery, megachurch, powerball ticket, stapler jam, the journey, tiny stapler on September 24, 2013 by Rob G..